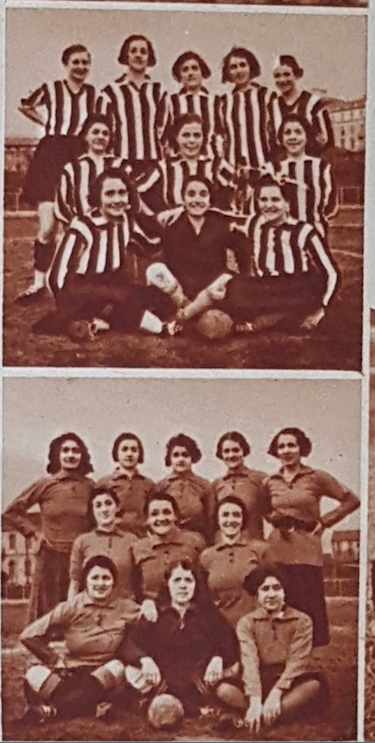 After the first two Italian-language academic articles (summarised in the Playing Pasts article: “Brave (and clever) calciatrici under the Fascist regime: the first women’s football club in Italy (Milan, 1933)” see – https://goo.gl/AJshbv), the author is continuing to research the history of “Gruppo Femminile Calcistico” (GFC) and the birth of Italian women’s football. 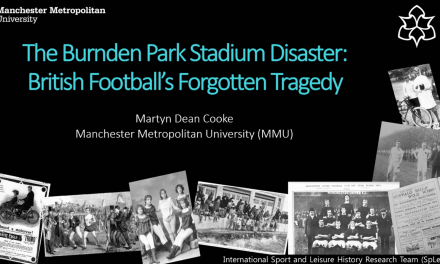 To coincide with the 85th anniversary of the first public match of Milan calciatrici (Sunday 11th June 1933), Playing Pasts is proud to present an update of the research by Marco Giani, with special thanks to Federica Buratti for the linguistic review & translation. Four members of GFC. 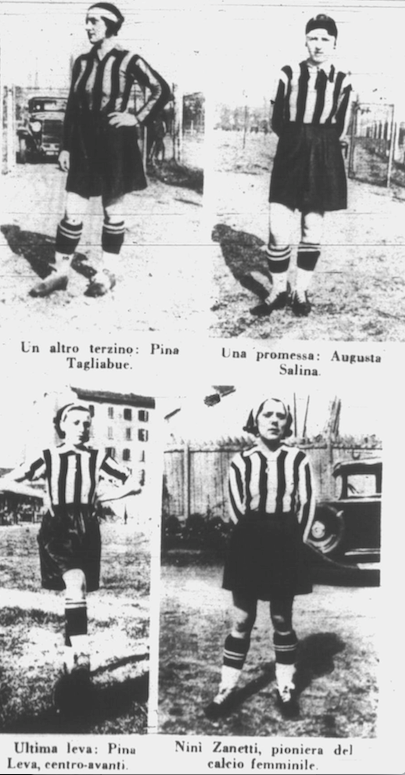 The captions say: Another fullback: Pina Tagliabue; A rookie: Augusta Salina; Last draft: Pina Leva, striker; Ninì Zanetti, pioneer of women’s football. 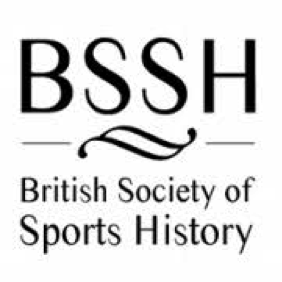 The research on the historical sources about the birth of Italian women’s football still goes on, starting from the printed sources. 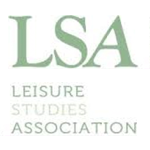 Newspapers of the time could be very rich in terms of information: a new research campaign brought to light a lot of new items (all transcribed in the new version of GFC textual corpus: https://www.academia.edu/35514499/Corpus_sul_Calcio_Femminile_in_Italia_1933_), some 50 articles, some dating back to February 1933 (a month before the previous available earliest documents). Information about GFC could be found also in Anagrafe ‘register’ of all Milanese sportsmen for year 1934, a very interesting supplement published in early January 1934 by Lo Schermo Sportivo. Reading the 21 pages of this satirical overview of contemporary Milanese sport community, even (a few) sportswoman can be found, not only a footballer, but also an athlete, a swimmer and two skiers. 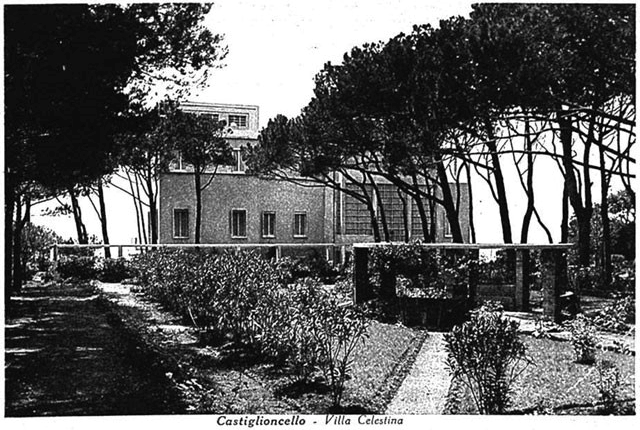 As the research progressed, more details about the birth of GFC became clearer; during the summer of 1932 the idea of women’s football in Italy arose in Castiglioncello, a small seaside resort near Livorno: some Milanese girls (who were there on holiday) played football in a field in front of Villa Celestina, the mansion of Milanese Fascist gerarca Attilio Terruzzi. 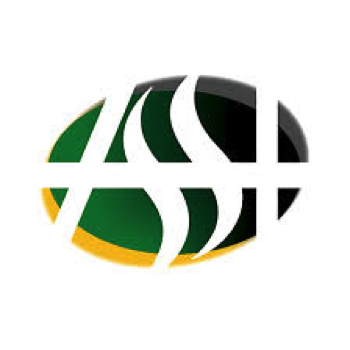 Coming back to Milan, they were helped by Ugo Cardosi, who gave them the necessary financial aid to found the GFC. 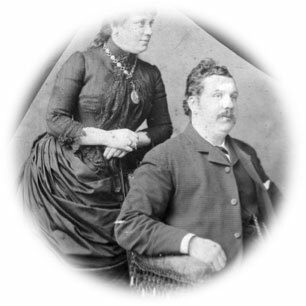 At that time, in Italy, for such a revolutionary experiment as the GFC was, male protection was needed, Cardosi (who previously had the opportunity to watch women footballers in Castiglioncello) was appointed president of the group. A native of Livorno, Cardosi was a wine and liquor trader: which could explain why one of the latest GFC teams wore blue-and-red jerseys with the Cinzano ad! He owned a lot of branches in Milan, yet the headquarters of his company (Ditta Cardosi) were in Stoppani 12, Milan: in fact, it is the address where GFC asked prospective members to send their application forms. 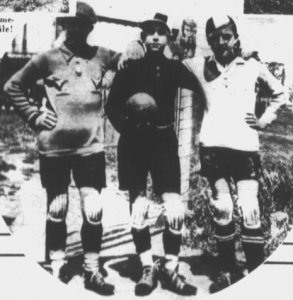 Cardosi’s son, Piero, a player for the Milanese amateur team La Littoria, was the trainer of the calciatrici. A goal in the middle of confusion. 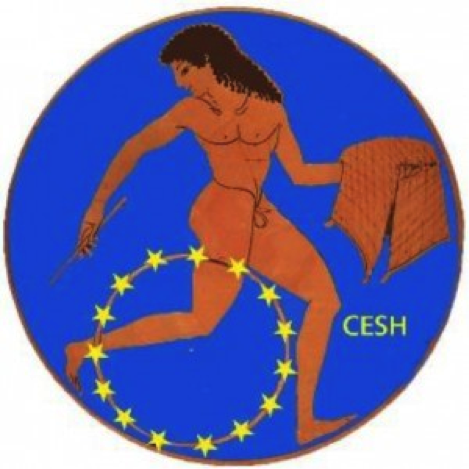 Contrary to what has been written before, the calciatrici were not totally unaware of contemporary European women’s football: in their letters and interviews, they declare to know that in England and in France there were a lot women’s football teams, that played in national leagues. 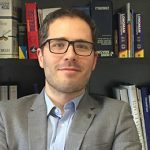 It still remains to understand what these Italian pioneers knew about the rules used by their European colleagues. Team photo from the first period. 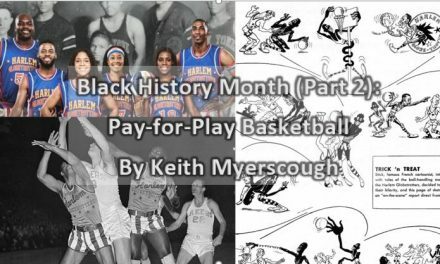 Please note the black-and-white striped jersey, and the maroon jersey. 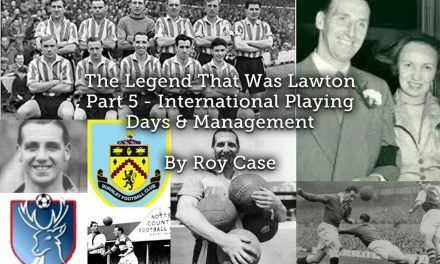 Using this plethora of information from the many sources, a history of GFC could be drawn up. I) After what could be termed as the “prehistoric” days of the GFC constitution, the first period could be seen as between mid-March and the beginning of April 1933. The two GFC teams wore black-and-white (1st team) and maroon jerseys (2nd team): the first kit colours (the same of Juventus FC, during those years the male National champions) were chosen because among calciatrici there were both Inter-Ambrosiana and Milan supporters. 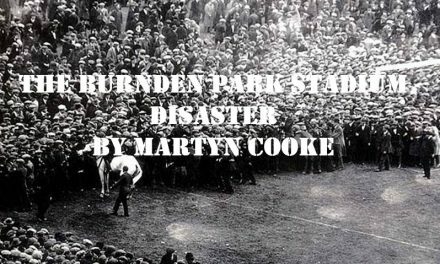 … During these first days, even little inconveniences caused big problems, for instance during one of the first matches; Loverro’s sports shop (the owner was probably the father or the uncle of Margherita Loverro, who played fullback, and is thought to be a Cardosi employee, too) delayed the delivery of football boots: so calciatrici had to play with their own ordinary shoes, even heeled-ones! 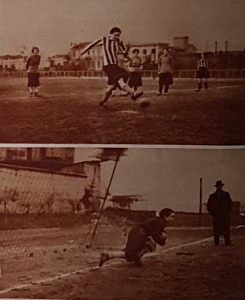 II) By the beginning of April, with the official authorisation of the Fascist regime, a second period of development started, with the introduction of male goalkeepers (in March, girls still played this role, as proved by photos!). 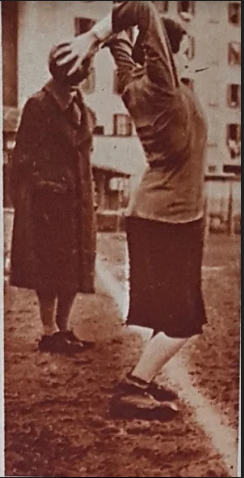 This explanation for this new rule was for “safety reasons”: it was believed that female players could not bear potential physical traumas – Mussolini’s Italy needed their future-mothers’ bodies: calciatrici knew this, so they needed to present themselves as good Italian girls. III) A third period, from June 1933, when the calciatrici, despite what the authorities imposed, decided to turn their private practices into public matches. These public matches, started on June 11th 1933 (just 85 years today), and continued into July, when one of the spectators was Franco Ciampitti (author of Novantesimo Minuto, one of the first Italian sports novels, awarded the year before by La Gazzetta dello Spor) and the executive managers of Sparta Praha. The Prague football team was in town to play the Mitropa Cup semi-finals (they lost 4 – 1 to Inter Ambrosiana). Did Ciampitti or the Czech guests leave any written memory of what their Milanese friends proudly showed them as a sort of city doozy? 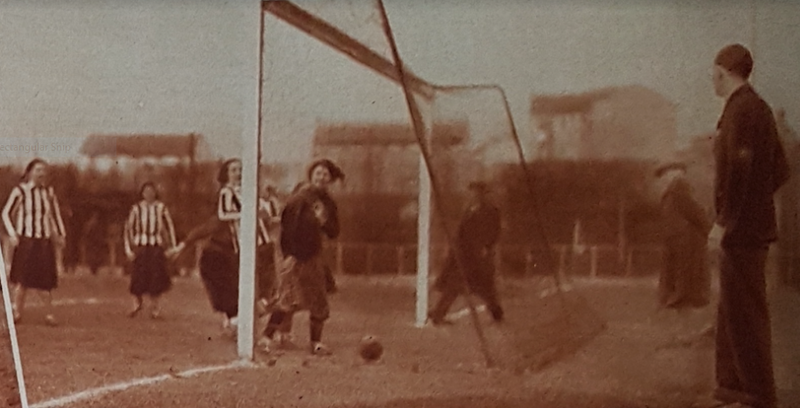 One of the features of this third period is GFC’s attempt to organise the first Italian national public women’s football match: up to now, there is no historical proof that it happened, mainly because the Fascist authorities always successfully prevented it. 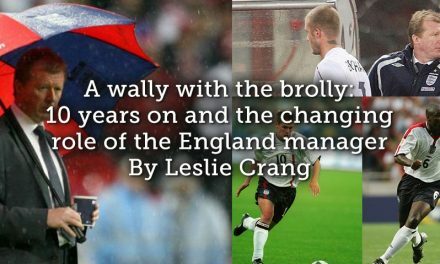 The Milanese group tried to get in touch with the other women’s football groups that had arisen throughout Italy during that summer. 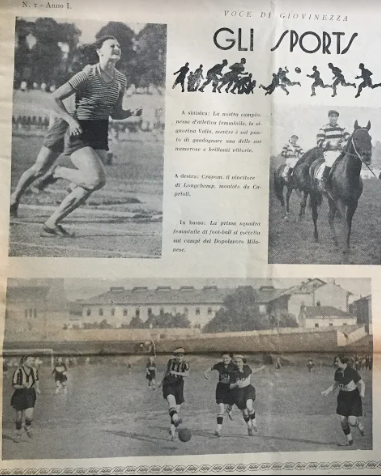 Historical documents indicate that there were teams in Alessandria, Turin, Rome (thanks to the protection of famous actress Leda Gloria and the sport journal Il Tifone), Parma, Venezia, Bologna (almost all in Northern Italy cities, because it was a more modern and open-minded part of the country). GFC worked not only as inspiration for these local groups: inviting them to a double friendly match, the Milanese girls even sent to their colleagues in Alessandria their own official regolamento ‘regulations’. 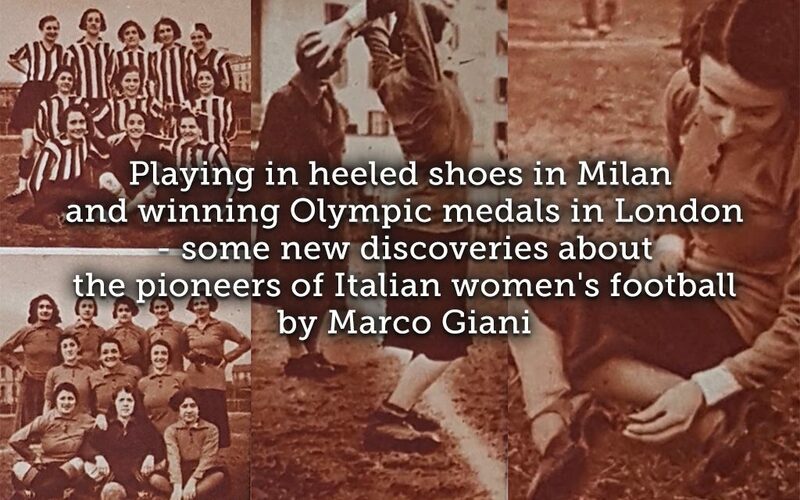 Yet in Alessandria the local calciatrici, who twice defeated a boys’ team in training, played football with a special rule: female players were allowed to touch ball with their hands, whenever they thought they were going to be hit in ..to put it delicately .. their lady parts. Did the Milanese joined this special rule too, or was it a local (and a more “conservative”) innovation? “Voce di Giovinezza” was a pioneering magazine for (Fascist) teenage girls, published in Milan from November to December 1933. This page should be a sort of poster with sport idols: Ondina Valla, a male jockey, the GFC calciatrici. GFC’s warm up before the match. In the last part of the year, the Italian women’s football esperimento ‘experiment’ was shut down: the inter-city match between Alessandria and Milan, planned for October 1st 1933, was cancelled (then, it was rescheduled for April 1st 1934 and not well received, as reported by Il Corriere della Sera). 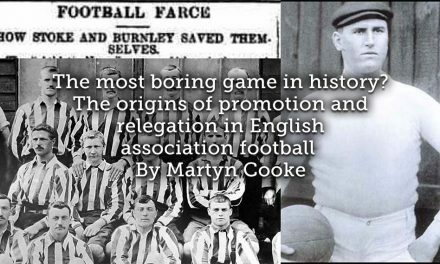 Yet Fascist repression was implemented with kid gloves: the authorities didn’t dissolve the GFC (their members were interviewed by the women’s newspaper Amica in December 1933), rather they forced them to avoid public matches. The regime was even subtler: two athletics trainers were sent one Sunday morning to the field where the Milanese calciatrici played, in order to set up an athletic session, rather than a football match. Some time later, the old GFC headquarters were turned into the headquarters of Gruppo Sportivo Giovinezza, a leading local society in the mid-1930s’ Italian female athletics organisation. 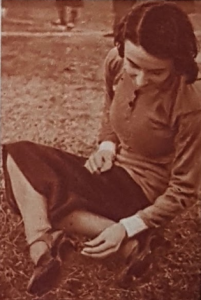 Some of the former calciatrici became good sportswomen: in January 1937 Graziella Lucchese (former mid-fielder in GFC) won the national cross-country contest. 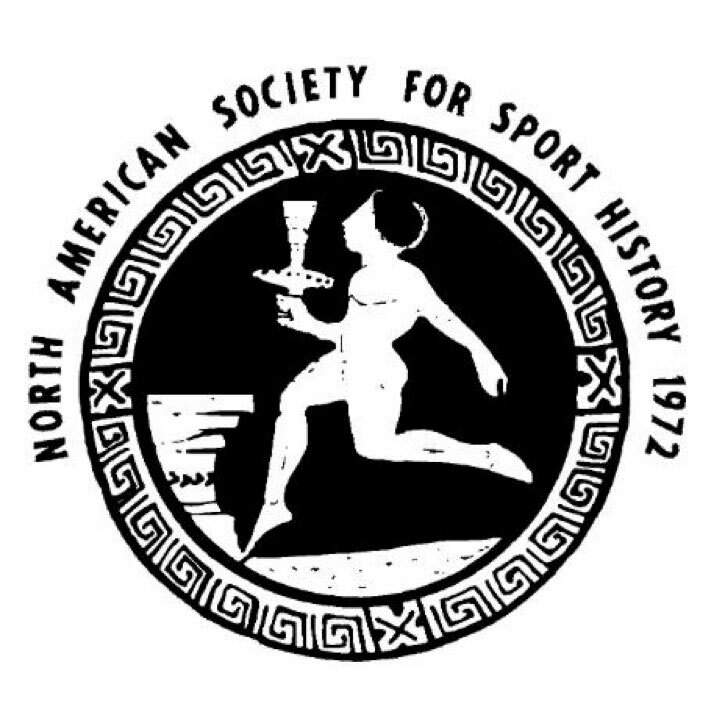 Moving to Alessandria, the local top goal-scorer Amelia Piccinini became the 1935 national pentathlon champion, but even then her career wasn’t over. In 1933, the Fascist regime banned women’s football explaining that it was not going to be contested in the up-coming 1936 Olympic Games, playing football was useless, as all female sports energy in Italy should be diverted to winning Olympic medals. Mussolini, in order to gain more international standing, needed athletes such as Ondina Valla, the first Italian woman to win an Olympic gold medal (80m hurdles, 1936): the calciatrici were therefore apparently not needed. 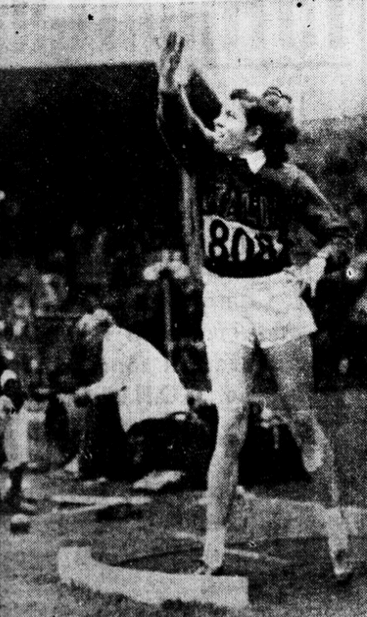 However, in the 1948 Olympics, after the death of Mussolini and his Fascist regime, Amelia Piccinini, the former 16 year-old Alessandrian striker, had her day in the sun, by winning shot-put silver, at the age of 31. Amelia Piccinini at 1948 Summer Olympics, London.